Vivienne Westwood Man London Tone on Tone Microcheck Waistcoat Jacket, Alfred Jacket. The check is grey-blue, blue, charcoal and light blue. Single button fastening. 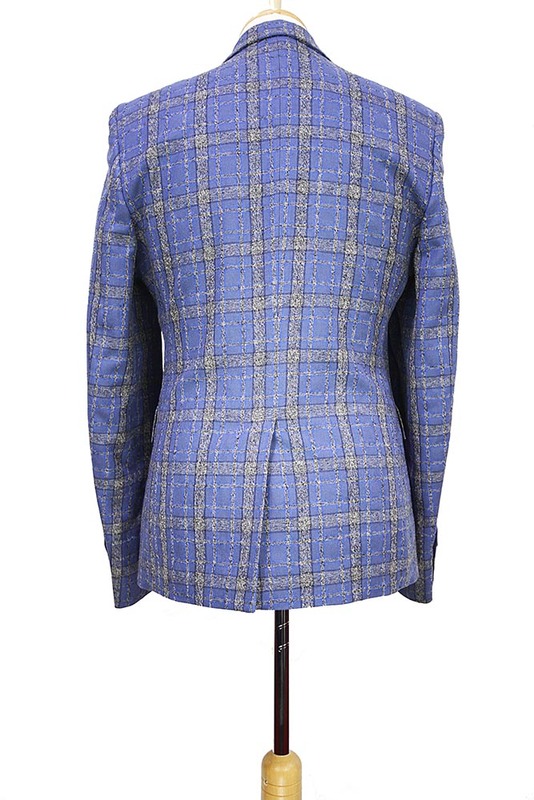 Jacket with long pointed lapels and the waistcoat has a narrow curved lapel. Built-in waistcoat with 4 button fastening. Angled left chest pocket and 2 pockets with flaps. The waistcoat has 2 pockets. Lined in the Man fabric. 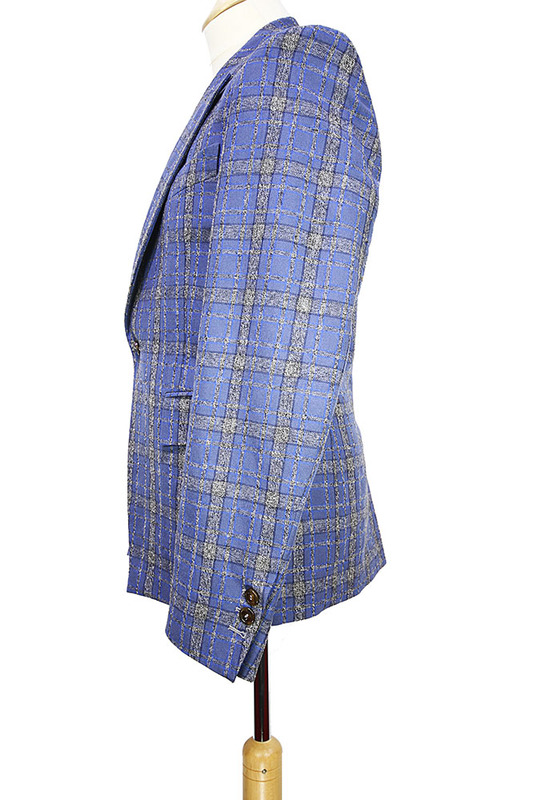 Beautiful jacket that matches the trousers in the same fabric to create an awesome suit.